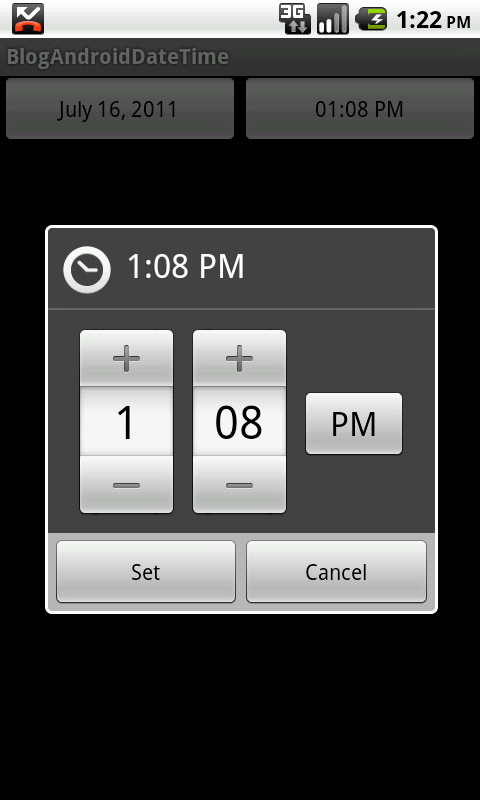 Let’s first create the UI elements that will display the date and time after the selection has been made. 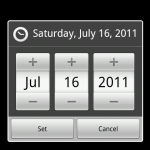 This simple layout contains two buttons, one with the date and one with the time. Now, we can move on to making the dialogs appear and setting the date and time. This will cause a date picker dialog to appear when the button containing the date is clicked. 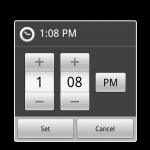 Likewise, it will cause a time picker dialog to appear when the button containing the time is clicked. The dateTime calendar object is then updated with the selected values and can be used throughout the application. 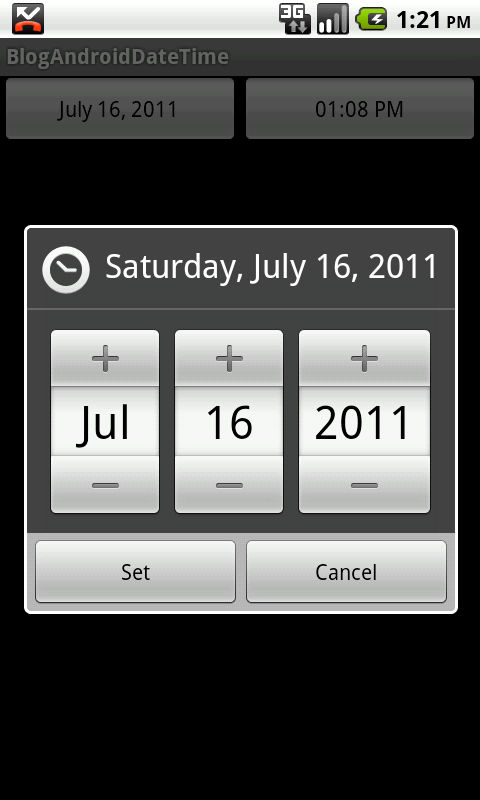 This entry was posted on Saturday, July 16th, 2011 at 1:19 pm	and is filed under Android. You can follow any responses to this entry through the RSS 2.0 feed. You can leave a response, or trackback from your own site. Hi there, just wanted to say, I liked this blog post. It was practical.